Campus Executive Director DR. MARCELO C. GUTIERREZ JR. Coordinator, Sports and Physical Fitness DR. EMMANUEL FEDERICO C. CAPINPIN, JR.
Pangasinan State University Binmaley Campus Research team led by Mr. Francis Albert T. Argente won the Fr. 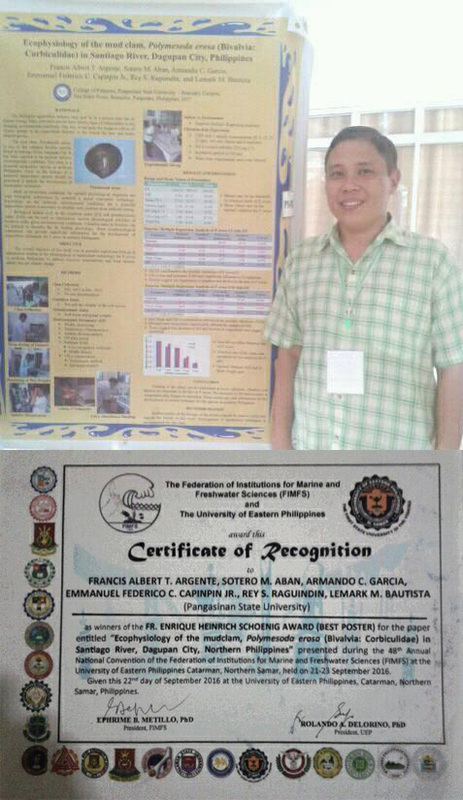 Enrique Heinrich Schoenig Award (Best Poster) at the recently concluded 48th Annual National Convention of the Federation of Institutions for Marine and Freshwater Sciences (FIMFS) held in University of Eastern Philippines, Catarman, Northern Samar last September 21-23, 2016. 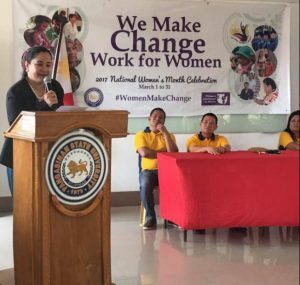 Pangasinan State University is one of the 23 member institutions of FIMFS. 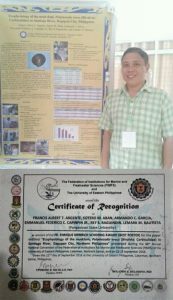 He presented the paper entitled,”Ecophysiology of the mud clam Polymesoda erosa in Santiago River, Dagupan City, Philippines ”. Mr. Argente explained the purpose and significance of the research which is to generate biological information on the said species to prelude the development of culture techniques. It has been reported that members of genus Polymesoda were resilient to adverse environmental conditions hence potential candidate species for aquaculture amidst this era of climate change. The same study was also adjudged as best paper in the 2016 ILLAARDEC Commodity Review for Fisheries held at Mariano Marcos State University, Batac, Ilocos Norte last September 7, 2016.